"Ken and his team are wonderful. They truly know what they are doing. I called them to help bail me out after another moving company did not show up... They cared about my items..."
New: Follow us on Google Plus for ways to save on moving. Get a Free Moving Quote! "Ken and his team are great. Fast, reliable service. Very friendly, responsive, and knowledgeable. Would use them again no doubt!..." - Eshelle M.
"They were very responsive. They were extremely nice and willing to accommodate my needs in very fast response. I needed them the next day and they were willing to move things around for me...." - Dave D.
"I'm so happy I found these guys! My mom got sick and wasn't able to pack in time for her scheduled move & I don't live close by, so I was calling companies from 2 states away trying to figure out what to do to get her packed up. These guys squeezed her in on very short notice, the price was great, they did a great job, and they were so nice too! Highly recommended!!!..." - Jenilee P.
"Ken and his team are wonderful. They truly know what they are doing. I called them to help bail me out after another moving company did not show up. Ken communicated with me up until they arrived. They cared about my items like they were my own..." - Derek M.
"I would recommend (them) to anyone who is in the process of moving. They were knowledgable, friendly, and worked hard to work with my moving schedule. I used them twice..." - Michelle T.
Welcome to Lake Coeur d'Alene Movers. 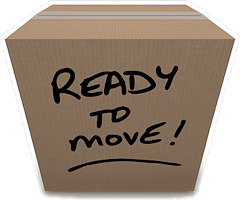 In Idaho, we operate as a full service Coeur d'Alene moving company can arrive ready to tackle every aspect of your move. We save you money on moving vs bigger companies by working in a small team and keeping our overhead minimal. We go the extra mile to ensure your belongings are carried and loaded carefully on to the truck and then use a number of methods to help protect your belongings during transport. As a professional moving company, our goal is complete customer satisfaction. Call or text us today at (208) 770-0845 for a free quote. There are multiple reasons to consider moving to Coeur d'Alene. We have met Californians and people from the Seattle area who "love it" here. From the sound of things, they would never want to go back to where they came from originally. Packing for a move can be hard, tedious work. It can also be a bit frustrating and create some anxiety when you realize that your belongings are at risk if they are not packed correctly and with the right level of protection. With our Coeur d'Alene packing service, we can arrive with everything from dishpack boxes, to different types of bubble wrap, packing peanuts, packing paper and the list goes on of tools at our disposal we use to protect your glassware, vases, and other fragile items for your move. We can label and code all your boxes for easily and quickly making sure each box goes into the correct room of your new home or even set aside boxes that may be destined for a storage unit. Whatever needs to happen, we can get it done. 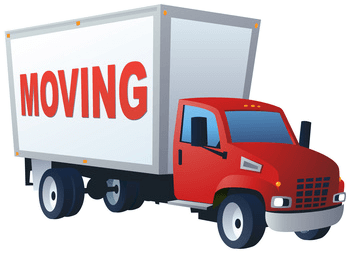 Depending on just how far you are going and to which state and at what time of the year, we can tackle your Coeur d'Alene long distance moving as well as your Coeur d'Alene interstate moving and save you hundreds of dollars vs what a much larger moving company might charge. As a local company with a small staff, we have a lot less overhead and operational expenses than a national mover. On moving day, not only will you appreciate the personal service by going with Lake Coeur d'Alene Movers, but that final bill at the end of the day after we have completed your move. If our customer service surpasses your expectation of a moving company, please consider telling your family and friends about us anytime someone you know needs moving. We appreciate the word of mouth and look forward to serving you, our next valued customer! Welcome to LakeCoeurdAleneMovers.com. Our site is packed with information and moving tips on Coeur d'Alene and across North Idaho. 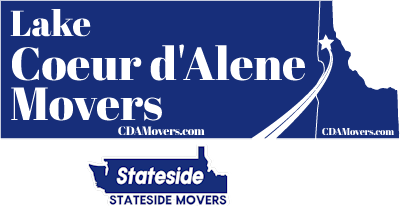 See: Coeur d'Alene Moving and Coeur d'Alene Packing Services. Considering a long distance move to or from Coeur d'Alene from the lower 48 states? Not only can we tackle this move for you, but we can give you a ballpark cost in advance on the price of moving. See: Coeur d'Alene Long Distance Moving. We are not currently hiring for any full time / part time positions. However if you have a great attitude, business license and a history of professional moving on your resume, we can add you to our contractors list. Read more: Coeur d'Alene Moving Jobs.